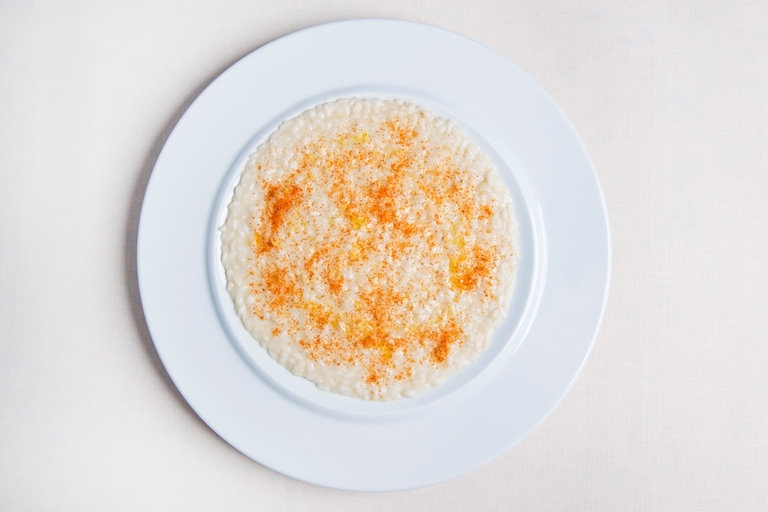 This simple vegetarian risotto recipe from the Costardi Brothers is made extra special by using homemade garlic oil. 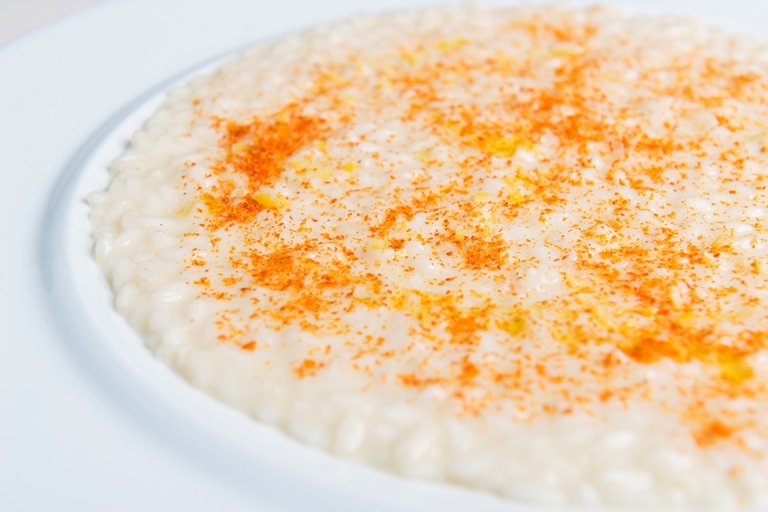 Stirring the oil in from frozen is not essential but is said to make the risotto more creamy. To make the garlic oil top notch, use the highest quality olive oil you can.